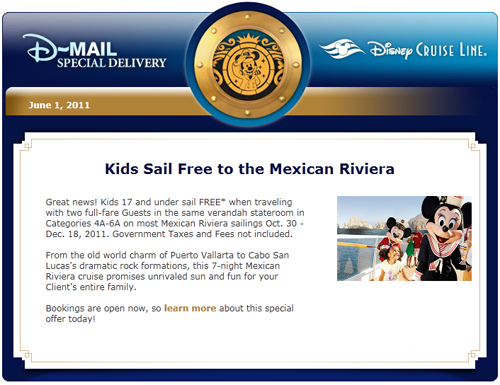 Disney Cruise Line – Kids Sail Free to the Mexican Riviera! For those on the fence deciding where to take the family on the next vacation this one is for you… especially for those who were thinking of somewhere warm! I just received an email in my inbox this morning and HAD to share with everybody! 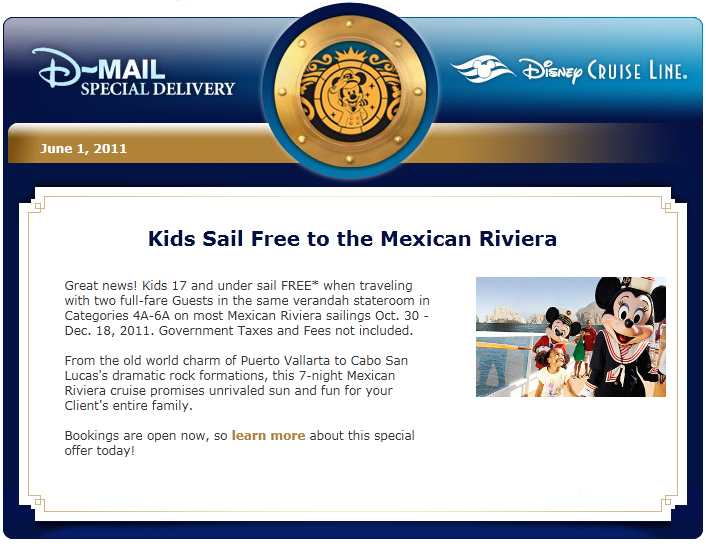 Disney Cruise Line is offering an incredible deal right now letting kids 17 and under sail FREE when traveling with two full-fare Guests in the same verandah stateroom on most Mexican Riviera sailings Oct. 30 – Dec. 18, 2011! Space is booking up quick so contact Travel House for currently availability!